Le Journal de la Photographie published today an interview with photo-eye's Founder and Director Rixon Reed. 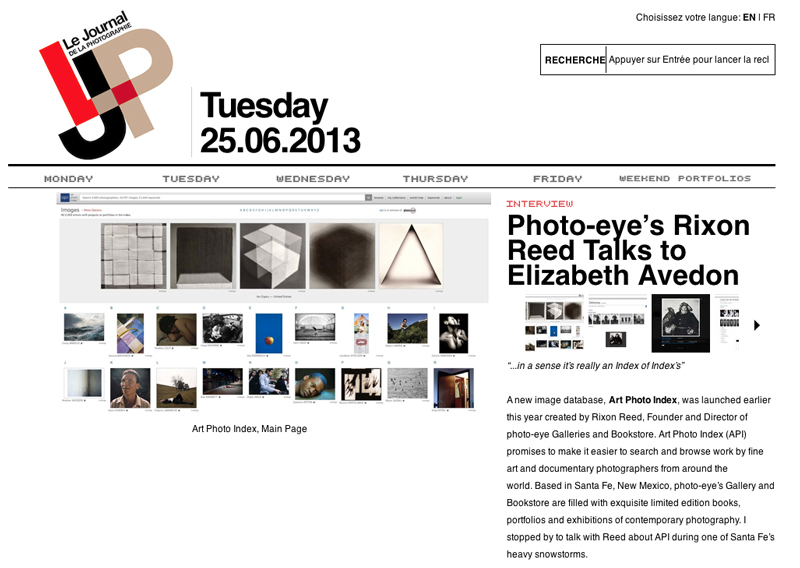 Interviewed by Elizabeth Avedon, Reed discusses his background in photography, the origins of photo-eye and photo-eye's newest project, Art Photo Index. Read the interview here.